JOIN US & GET 10% OFF! The Orbed collection is our take on the timeless vintage rounded rock shape. A classic for any woman's jewelry box, this rounded collection is essential. 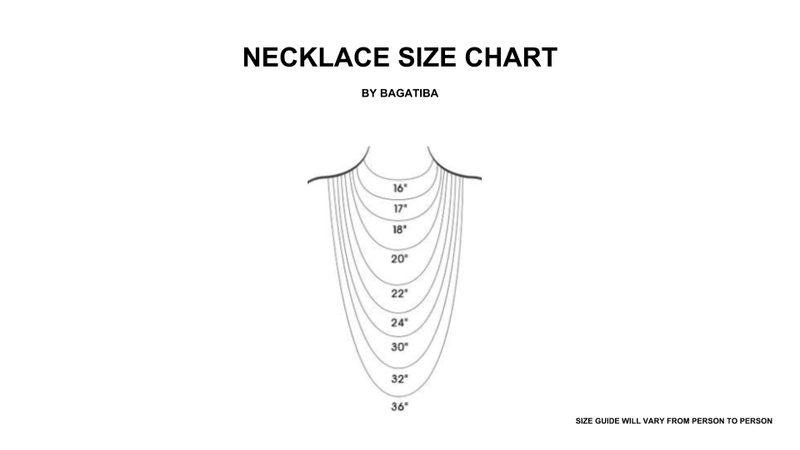 Dimensions: 28" adjustable necklace. 1" x .5" pendant. Our Best Selling D2C Necklace is worn by style icons across the board. The Charms are Reversible but Non-Removable. This charm has been "vintage" treated. It may have marks, scratches or discoloration. Feel free to use a mild jewelry cleaner to soften the effects of this treatment but please know this before buying that no charm is perfect and each is unique, that is the the beauty of our vintage treated pieces. Our Best Selling D2C Necklace is worn by style icons across the board. The Charms are Reversible but Non-Removable. Material: 14K Gold Filled Dimensions: 18" Made in USA. This charm has been "vintage" treated. It may have marks, scratches or discoloration. Feel free to use a mild jewelry cleaner to soften the effects of this treatment but please know this before buying that no charm is perfect and each is unique, that is the the beauty of our vintage treated pieces. Our Iconic Best Selling Saint Mary Necklace loved by females across the board. A 2" extender is available for purchase here. Our Iconic Best Selling Saint Mary Necklace loved by females across the board. A 2" extender is available for purchase here. Material: 14K Gold Filled Dimensions: 20" Made in USA. This charm has been "vintage" treated. It may have marks, scratches or discoloration. Feel free to use a mild jewelry cleaner to soften the effects of this treatment but please know this before buying that no charm is perfect and each is unique, that is the the beauty of our vintage treated pieces. Part of our broad Religious Collection, the D3C Necklaces feature 3 different religious charms, they are Reversible but Non-Removable. Some charms are weathered and do not face the same way as pictured. The Vintage Square Choker with wire wrapped closures is perfect for layering. Feel free to add your own charms. Long version available here. The Vintage Square Choker with wire wrapped closures is perfect for layering. Feel free to add your own charms. Long version available here. Material: 14K Gold Filled Dimensions: 12" + 2" extension Made in USA. The NCS Collection comes in 3 color variations. Gold, Silver & Brushed Gun Metal. The NCS Collection comes in 3 color variations. Gold, Silver & Brushed Gun Metal. Material: 14K Gold Filled Chain / Gold Plated CZ Charm Dimensions: 18" Made in USA. We'll send you updates and sales before everyone else.